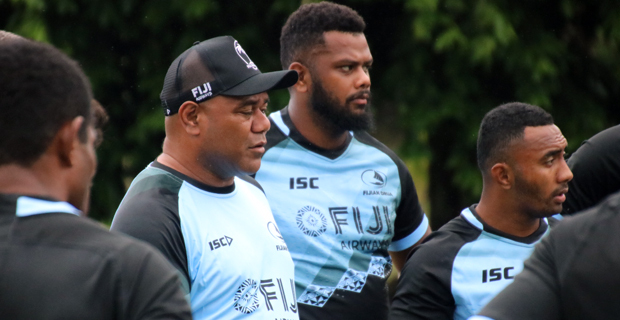 Fiji Airways Drua Coach Senirusi Seruvakula says Melbourne Rising should expect a tough battle this Saturday as they are not planning to lose their first home game of the season at Ratu Cakobau Park. He is confident that his players have the experience to match up to Super Rugby players such as Sefanaia Naivalu and Isi Naisirani in the Melbourne Rising squad. Seruvakula says keeping to the game pattern and maintaining discipline have been some of the key messages to the team throughout the week. The Fijian Drua squad is laced with experienced players like captain Mosese Voka, Frank Lomani, Serupepeli Vularika, Levani Kurumudu, Alivereti Veitokani, Eremasi Radrodro and Apisalome Waqatabu. The Drua will face Melbourne Rising at 3pm this Saturday at Ratu Cakobau Park and you can catch the live commentary on Viti FM on 92.2FM.